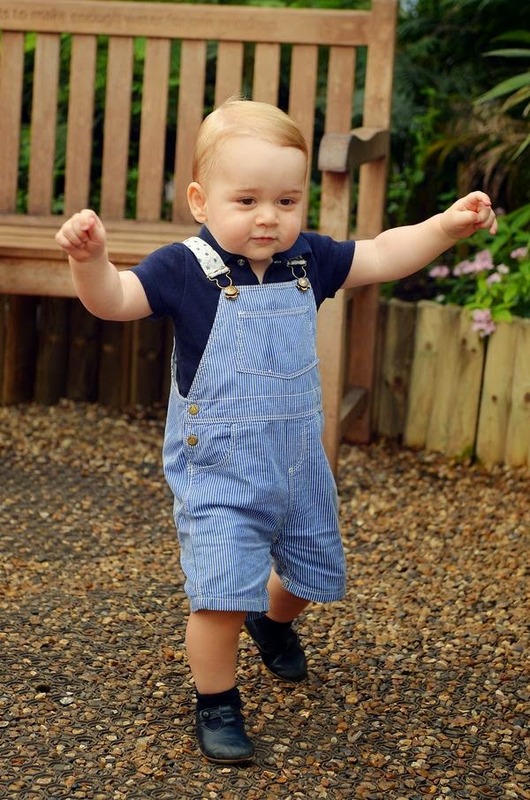 There's a blog called What Prince George Wore, and I hope it lasts for the better part of a century. Not necessarily in a "long live the King" sort of a way, but because it seems it would be fascinating to document any life in that way. Not that I don't think there won't be plenty of documentation of Prince George over the years. But looking at the blog I got a flash of a handful of scenarios from a second coming of a British Empire that the sun never sets on, to a Max Headroom-like scenario where most of the world lives in tin sheds but everyone has some kind of a computer, to one where humans get a 3 minute break per day from slaving underwater for their manatee overlords --- and in each one there is at least one person looking at an antiquated blog to see what 72 year old George is wearing. I continue to watch and re-watch Screwball Comedies, so I'll get back to writing about all of that soon. A moderately neglected blog that's mostly about screwball comedies, but also romcoms and plain ole coms. Includes DIY Double Features. There's Other Stuff too. Christmas Clip o' the Day: ELF & The Many Faces of Mandy Sue B.
Kazuo Ishiguro on HOLIDAY: "Screwball comedies were proto-feminist"